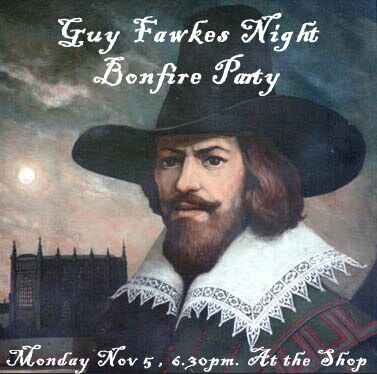 Come on over for our Guy Fawkes Bonfire Party on November 5th @ 6.30pm....behind the shop. The Skin-on-Frame boat builders will be in full swing, oysters will be on the grill, the guy will be on fire.. all along with some freestyle musical accompaniment. Think of it as a mini 'Burning Man' night. Bring your beverages, bring your drums, bring something to burn. 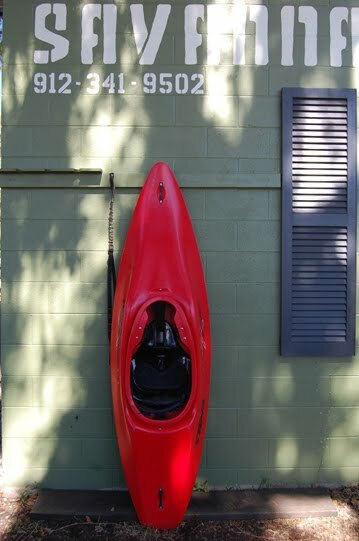 All are welcome, as we hail the fall paddling season. 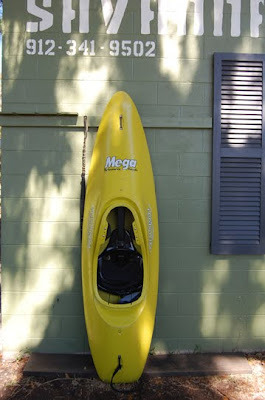 We also carry a full line of new Mega and Valley Surf Kayaks. Demos and classes available any time. Mega Neutron HDP. Excellent condition.One careful owner. Lightly used. Larger guy's surf kayak. Comes complete with float bags, fins, footblocks, heal hole and skirt..you'll be surfing by sundown. Great deal..$750. Valley Nemesis IC - ProKevlar. 1 year old. Demo model. Repaird, solid and dry. Never been owned. The Valley Nemesis - aka The Rocket Ship...the boat they changed all the rules for. This boat is fast and extreme. We've tried it..it's awesome...too awesome for us. Fast,Finless Fun...for the edgy surfer. $1300. We have a few other boats in stock which we are keeping up our sleeve. If you are looking for something nice, special, sweet, awesome, radical...give us a ring and we can probably get you sorted. It is always great when your friends and family come to visit. However, when you live in the Pacific Northwest it is always better if they can boat. When I asked my brother what he wanted to do while he was in the Northwest his answer was fairly simple. 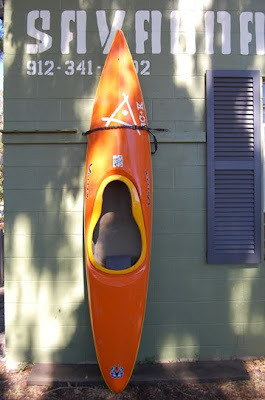 “I want to go kayaking”. I turned that answer into an excuse for a 1000 mile road trip. With the rivers in late summer recession, we turned our focus on one of the West Coast’s premier sea kayaking venues... Ft. Bragg and the Northern coast of California. The first place we hit was Van Damme Park which is roughly ten miles south of Ft. Bragg. I was stoked to have a 4-6 ft Northwest swell and virtually no wind. This was gave us plenty of moving water to make things interesting but was also manageable enough to access and explore every bay, cave, and feature. This cave led to a beach which was walled in on all sides by a 50 foot cliff. It is great to show up somewhere so far away for one day and have the weather work out this perfectly. Below Cory hits his line perfectly on one of the many sweet pour-overs. If anyone is ever in this area and looking to do some boating I would highly recommend hooking up with Jeff Laxier and Cate Hawthorne of Liquid Fusion Kayaking. They offer great day trips, introductory and advanced rock gardening courses, and, if you are so inclined, BCU skills assessments. I had high aspirations of finding some great boating on the Lost Coast. However, after burning through a set of brake pads and seven hours of off road driving with no beach access, we abandoned the plan in favor of the paved road. I think the next time I go to the lost coast I’ll take a bike or hike it. I am sure either option, would be faster than driving. As a consolation we had the time to stop the next day at Trinidad bay which while not on the original agenda was certainly worth doing. As we made our way back across the bay Cory pointed out a crack in a building sized rock on the beach. From a distance it looked terrible because the surf was breaking into the opening. After a little deliberation he talked me into giving it a closer look. It turned out to be a fairly mellow cave due to a sandy beach on the inside which dissipated the wave energy. 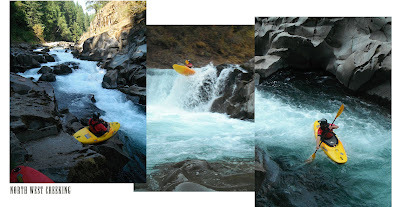 I rounded out the West Coast tour with a couple of days of really low volume creeking. Even though we had to drag our boats down a significant portion of this run, the stunning scenery, crystal clear water made it well worth the effort. A few really great waterfalls and a natural riverside hot spring really push this run over the top. Nick will be back in Savannah later this year for a little southern style refreshment. No doubt we'll put together a winter surf kayak camp in Florida during his stay. The author of some of our favourite Georgia coast books will be at the shop on Thursday evening. 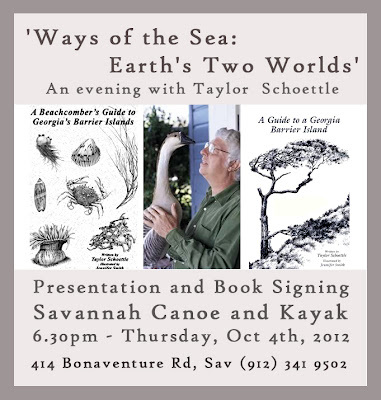 As well as signing copies of some of his titles...Guide to a Georgia Barrier Island and a Beachcombers Guide to the Georgia Coast, Taylor will be talking about the fascinating creatures that live in the transitional area between land and sea. Bar opens at 6pm and the presentation begins at 6.30pm. Free and open to all. October 27, 2012 Savannah area residents will take to the water as part of the continuing statewide campaign to clean and preserve over 70,000 miles of Georgia’s rivers and streams. The effort will be part of Rivers Alive, a joint program of the Environmental Protection Division Outreach Programs and the Keep Georgia Beautiful Foundation. 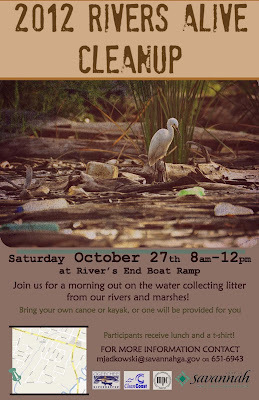 Volunteers in Savannah will stage their cleanup at 8am on October 27, 2012 at the Rivers End boat ramp, at Rivers End Dr. and Hurst Ave. Volunteers can bring their own canoe or kayak, or one will be provided for them, and all volunteers receive lunch and t-shirt. They will be joining an estimated 25,000 other volunteers statewide participating in the annual river cleanup. This fall over 200 cleanups will collect trash and similar debris in streams, rivers, lakes, wetlands and the ocean from the Conasauga River in North Georgia to the St. Marys River in the South. 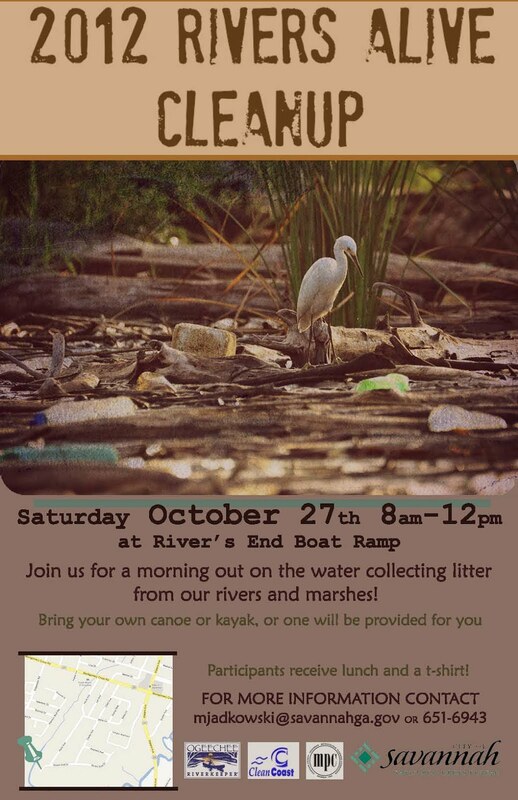 To volunteer for the Hayners Creek cleanup, contact Margosia Jadkowski at 912-651-6943 or mjadkowski@savannahga.gov. For more information about efforts in other areas or the statewide campaign, go to www.riversalive.org.